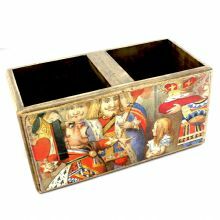 Solid wood in antique finish storage box, a delight to hold and behold, each side showing different scenes from the film Alice in Wonderland. 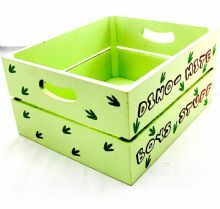 Dinosaur Box from wood, in dinosaur colour green and brown. 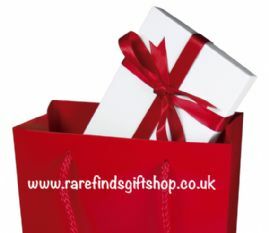 Will make a nice addition to any room, and keep things tidy. 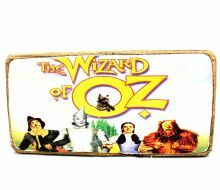 Solid wood in antique finish storage box, a delight to hold and behold, each side showing different scenes from the film Wizard of Oz, yes, "there is no place like home". Once and only once, so make the first school day a special day with this French designed rucksack. Made from corduroy with colourful patches the little one will be thrilled to have this smiling winking hippo for company. Once and only once, so make the first school day a special day with this French designed rucksack. Made from corduroy with colourful patches the little one will be thrilled to have this sweet pink mouse for company.